The new high-speed ETS trains operated by KTMB (Malayian Railways) from Butterworth to KL Sentral in Kuala Lumpur started operating in early July 2015. These ETS Train Services to KL have cut the travel time to the capital from Penang in half, compared to the older Intercity Express Services and it is now the fastest way to travel from Pulau Pinang (Penang) to Kuala Lumpur. The train from Butterworth to Kuala Lumpur has a different amount of stops depending on what type of service you take. Platinum services offer the quickest journey time with the least amount of stops. Please Note : there are now no Intercity Express Trains on the Butterworth to KL route. 59 MYR for Adults - 34 MYR for Children. 79 MYR for Adults - 44 MYR for Children. If you are staying on Penang island you have a choice of where to buy your tickets. You can buy them from the KTM Ticket Office that is located on the walkway up to the Penang to Butterworth Ferry, or from the ticket counters at Butterworth Train Station. 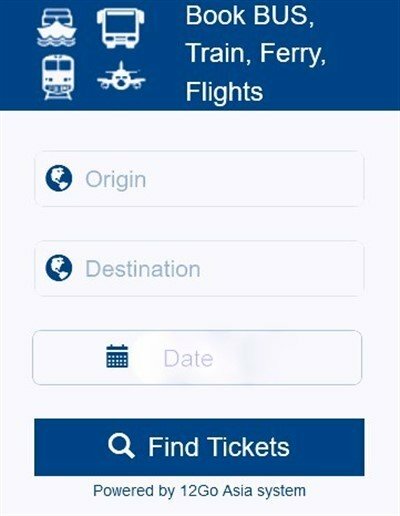 To save yourself the effort of going to the ticket office or station, you can also book your ETS tickets online. 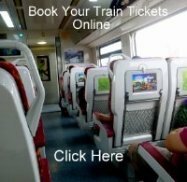 Online train tickets are available direct from the KTM website (now the cheapest option) or through various online ticket agents (booking fees may apply). If you are planning to stay in Kuala Lumpur, visit our best hotels in Kuala Lumpur page to see our top recommendations of places to stay in the city, from budget guesthouses to luxury 5 star hotels.